How familiar are you with culturally significant lands in Hawaii? At Sunset Ranch, part of our mission of “helping advance land conservation and self-sustainability” involves improving our understanding of the aina (land). The process of establishing a conservation easement on Sunset Ranch, which permanently protected the site, taught us not only about the surrounding area’s historical significance, but the importance of protecting it. Thanks to the North Shore Community Land Trust (NSCLT), we continue to learn more and more about the history of the aina that surrounds us. Specifically, the NSCLT’s “Greenprint” initiative helps identify the characteristics of North Shore lands, and prioritize protection efforts. An area of particular interest to Sunset Ranch? The land surrounding Pu’u O Mahuka (Hill of Escape): Oahu’s largest heiau (important religous site or temple). 2. We know that Waimea Valley was home to a large Hawaiian community during the ‘pre-contact period’, or before Captain Cook’s arrival to the islands. 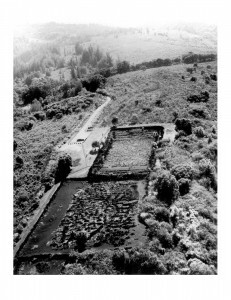 Given the heiau’s location on the bluff, historians believe that Pu’u O Mahuka was often used by Hawaiians living in Waimea Valley to communicate with Hawaiians at a heiau in Wailua on Kauai. Communication would have been via extremely large signal fires. 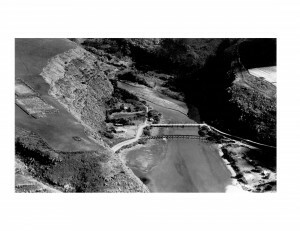 The picture below, taken in the 1970s, provides a great view overlooking the heiau facing makai. Try to imagine what it may have looked like when the Hawaiians were using signal fires and communicating with residents of Kauai. 5. In the 1770s, a high ranking priest named Ka’opulupulu (under Oahu Chief Kahalana) oversaw Pu’u O Mahuka. This was a time of war in Hawaii, and it is presumed that the heiau was often used as a sacrificial site. After Kamehameha I conquered Oahu in 1795, his high priest Hewahewa conducted religious ceremonies at Pu’u O Mahuka. 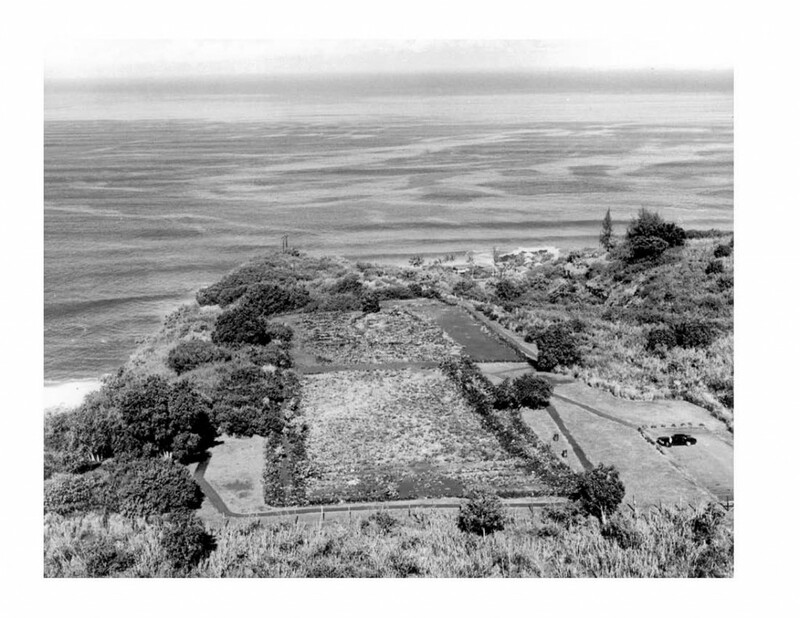 It is believed that ceremonial use of the heiau continued until 1819. 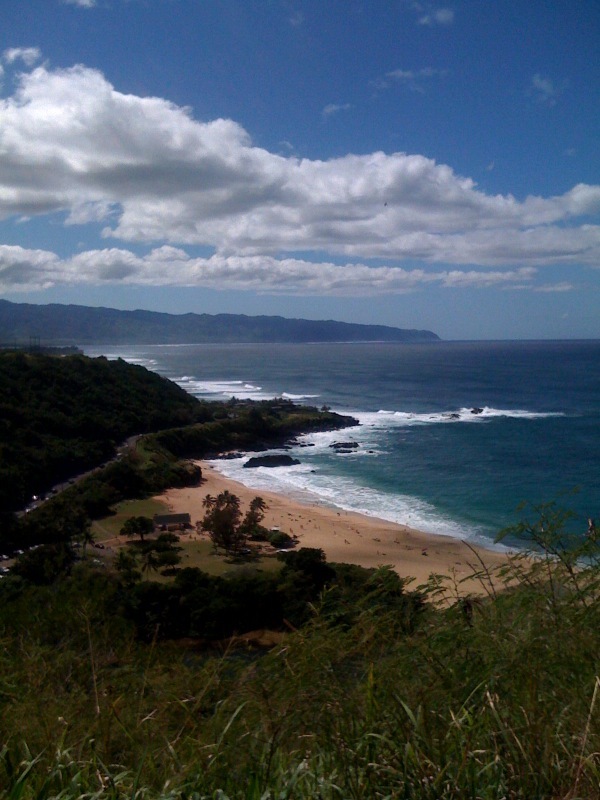 Study of Cook’s Voyages suggest that after Captain Cook was killed at Kealakekua Bay in 1779, the HMS Resolution landed in Waimea Bay to stock up on water. Imagine what the view may have been like from Pu’u O Mahuka. 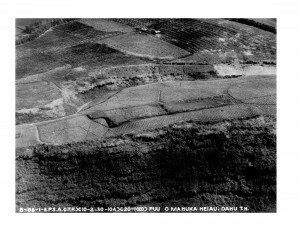 So the historical significance of Pu’u O Mahuka is very clear. That said, what is the current state of the heiau and the lands surrounding it? We have some great news to share. 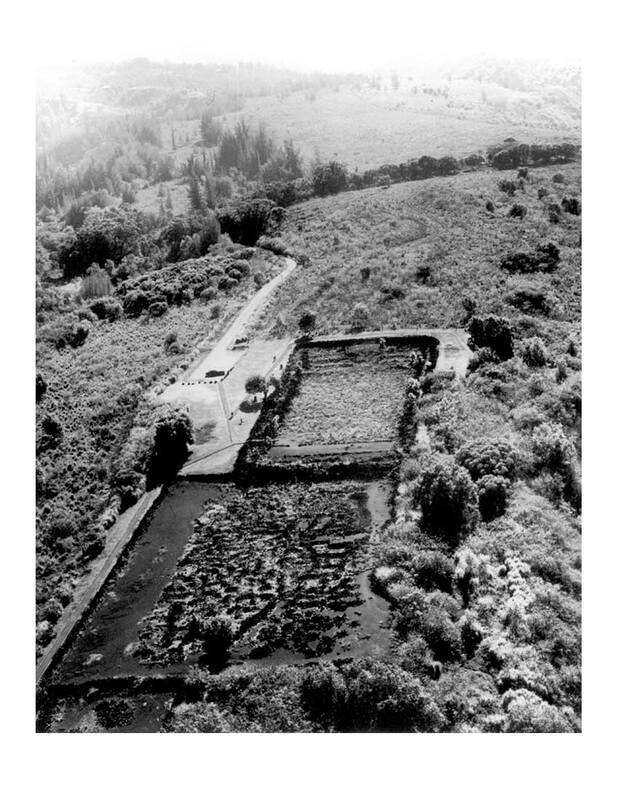 While the State of Hawaii (State Parks) owns Pu’u O Mahuka and a very small buffer around it; there is only one private land owner of the more than 200 acres that surround the heiau. Subsequent closing of the conservation easement at Sunset Ranch, we were contacted by the land owner to discuss the possibilities of protecting this 200+ acre site. 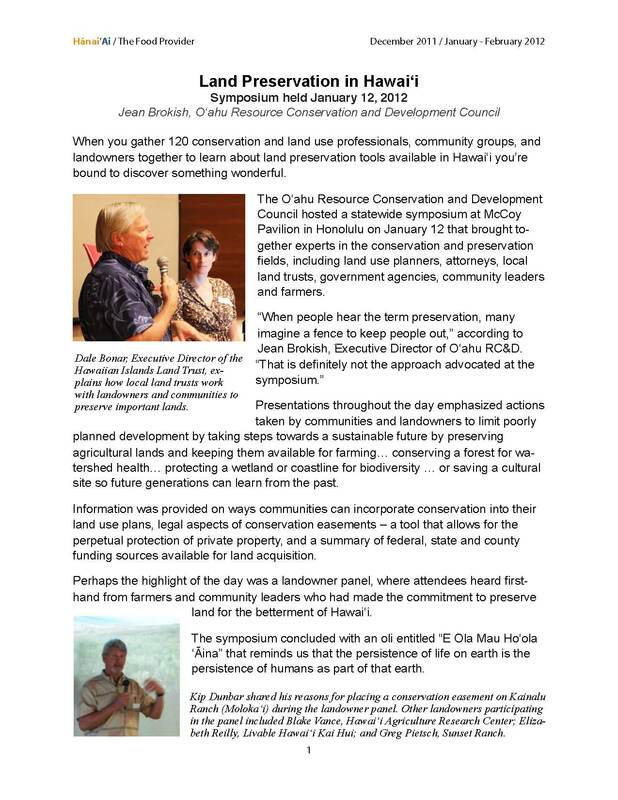 The entire parcel is currently undeveloped, prime agricultural lands that wraps around Pu’u O Mahuka and works its way mauka up into the community of Pupukea. We’re currently talking to the land owner about two primary objectives: (i) increasing the size of the State owned buffer around Pu’u O Mahuka; and (ii) protecting the remaining 200 acres of agricultural lands with a conservaion easement. In partnership with the local community, the North Shore Community Land Trust and the Hawaiian Islands Land Trust (HILT), we hope that this vision will soon become a reality. The land is simply too important to not protect, and the current zoning provides the potential for at least a 77 lot subidivision. With current ownership in the hands of a conservation minded land owner, now may possibly be the best time to assure this special site’s perpetual protection. Hopefully this blog has provided a better understanding of Pu’u O Mahuka, and why we’re so excited about the possibility of protecting the land surrounding it. Land that is just a short distance from Sunset Ranch. We hope that our small success story of protecting our approximate thirty acre site can help facilitate the protection of this important land. While it will be no easy task; we’re committed to helping all parties involved any way we can. If you haven’t already seen Pu’u O Mahuka, please take the time to explore it. And while there, please think about what you’ve learned from this blog. 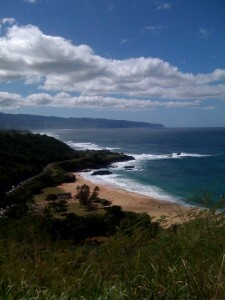 The site truly has some of the most spectacular views of Oahu’s North Shore. Also, if you have more information on Pu’u O Mahuka, or would like to discuss it further, please contact us at (808)638-8333. Please also feel free to e-mail us at [email protected]. We would love to hear from you. If you would like more information on the North Shore Community Land Trust’s “Greenprinting” efforts, please click here, or contact Doug Cole at (808)497-0036. Mahalo nui loa! A great summary of the symposium held in January. 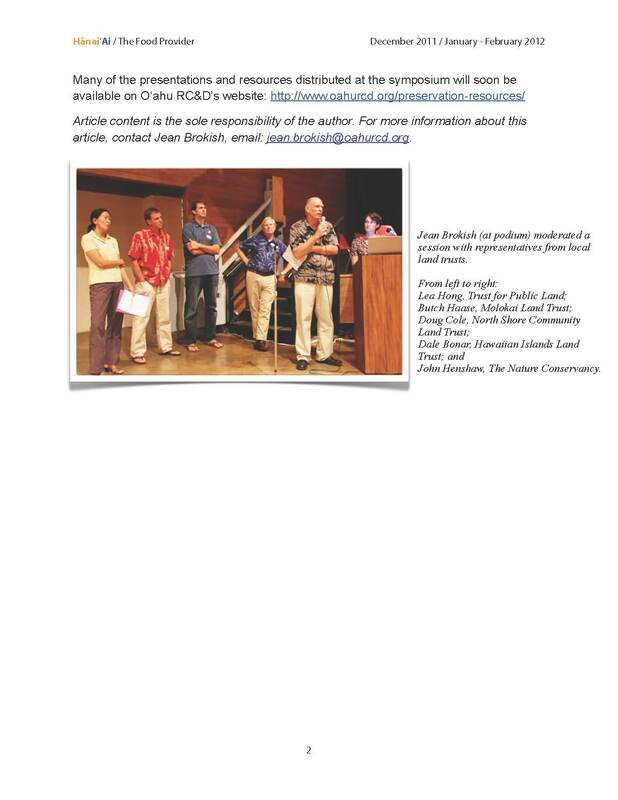 These informational sessions are critical to spreading the word on land conservation in Hawaii, and educating the community on the programs and instruments available to assist with accomplishing our long term objectives of adequately balancing the preservation of land and development in Hawaii.